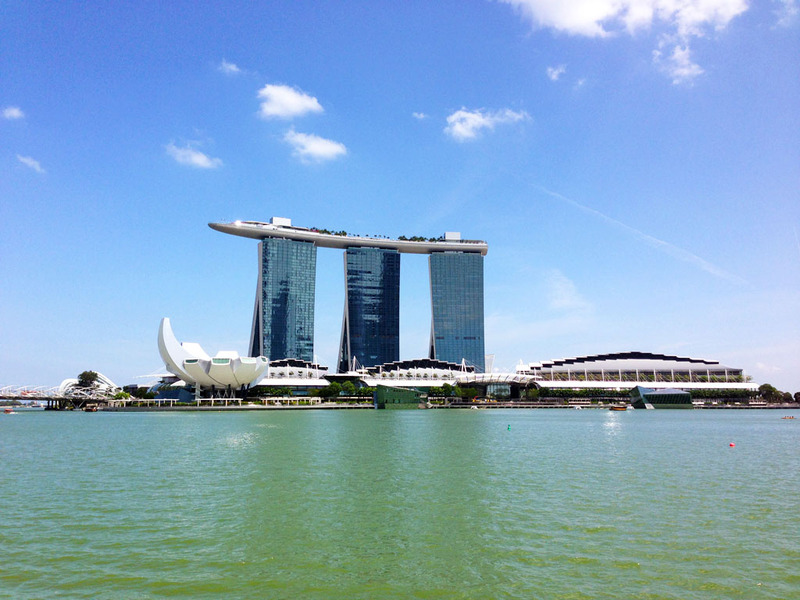 #escapers15 The bloggers Amazing Race hits Singaporewhere to next? So… this month I took part in something rather amazing. In an action-packed four days, I raced from Singapore to the Sunshine Coast, competing against 16 other bloggers from all over Asia. And won. Let’s clarify things – I didn’t race exactly (well I certainly didn’t run) but it was an amazing race as we searched out hidden gems to showcase to our readers and followers on social media, and made firm friends along the way. 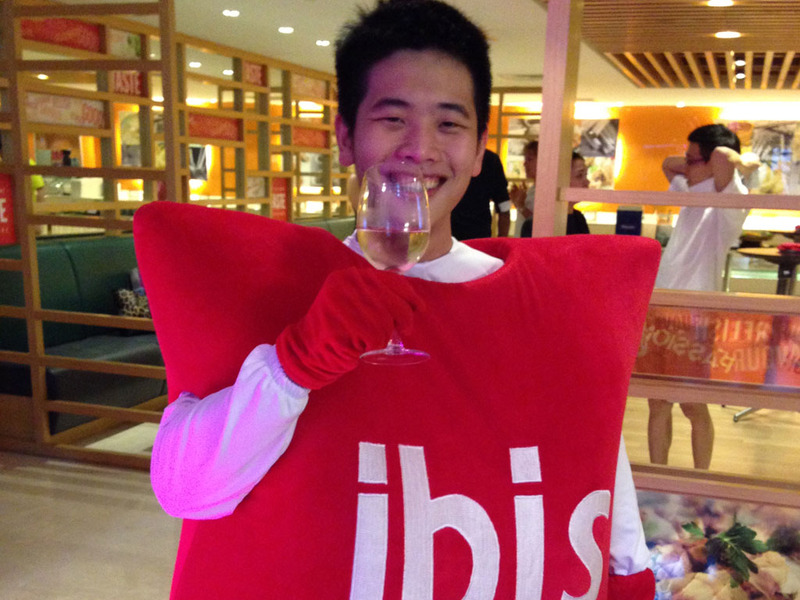 It all started at the Ibis on Bencoolen in Singapore on the 28th February. Actually it all started long before that, in Hong Kong, when the first Escapers event took place, #escapers13, one of Accor Hotels’ first forays into the world of social media. Escapers13 was such a success that they decided to do again – bigger and better. This time, Scoot Airlines jumped on board to fly us around, Tourism and Events Queensland took on the organization of the Queensland leg of our race and Hootsuite put their hands up to help amplify the results. But lets get back to Singapore, where we all meet for the first time in the bar to hear all about our upcoming challenges. We also meet the chef and a rather delightful selection of Singapore street food to choose from as we’re briefed on our first day’s activities. We’re given our clues for Day 1, and we start tweeting our friends for help deciphering them. “Find the creature of two halves that is the symbol of Singapore”, “A historic building that sells Singapore’s most famous chicken dish”. 930am the next day, and off we go. We’ve deciphered our clues, studied the MTR and worked out the best route. 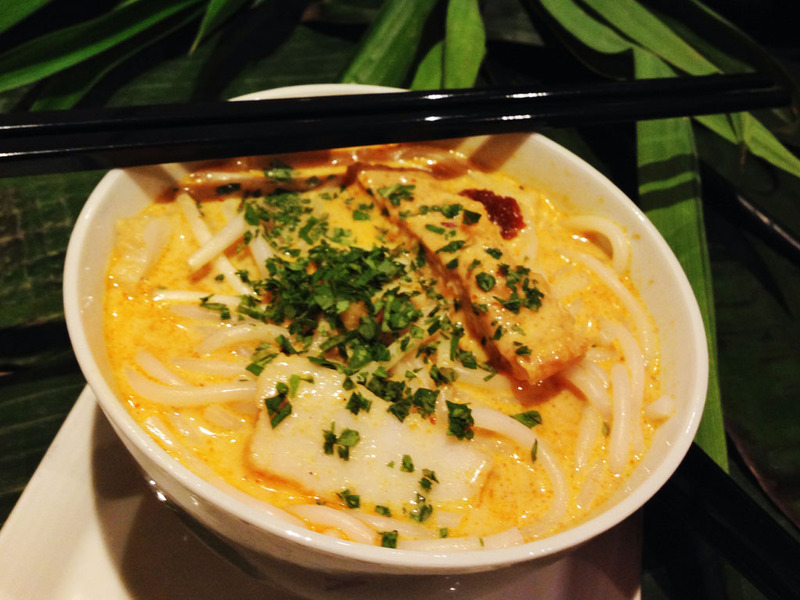 This is the best way to explore Singapore – or any new city – leave the taxi behind and find your way around on foot, or alternately, via pedal power on a bamboo bicycle, available on loan at the Ibis on Bencoolen. Think about it, Singapore is pretty flat – I’m surprised there are not more cyclists here. This is usually when I realize that some attractions are closer together than I thought they were, the penny drops and I get my bearings. 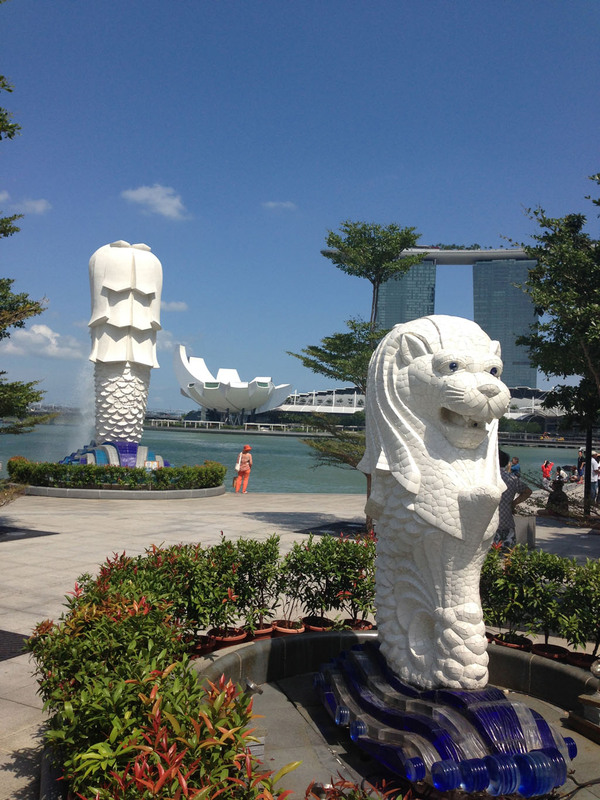 Our first stop is Raffles Place, where we wander vaguely in the direction of the Merlion and stumble across an area called Satay on the Bay along the way making a mental note to return here in the evening. 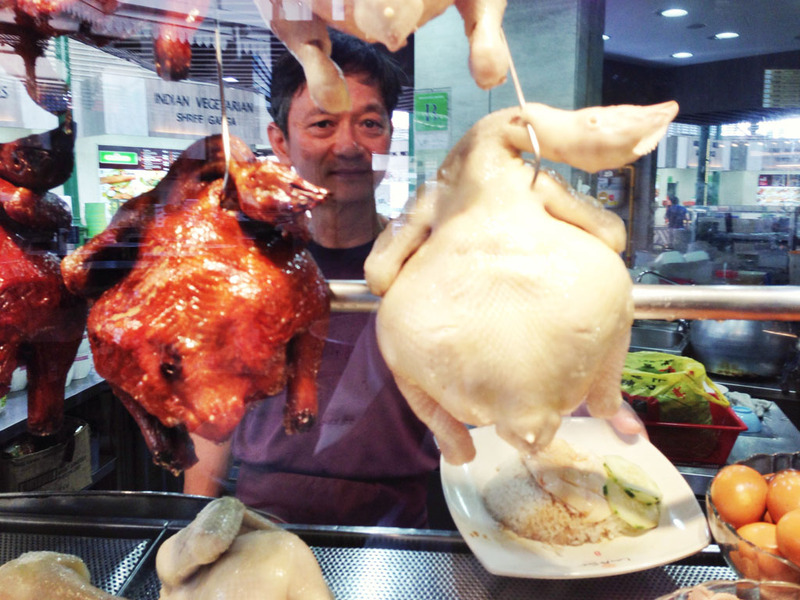 According to our grand plan, Lau Pa Sat is next, a food court housed in one of Singapore’s oldest buildings, for some chicken rice (I could eat this every day for lunch) before heading to So Sofitel for a signature cocktail at their rooftop bar. It’s a little early in the day but what the hell. 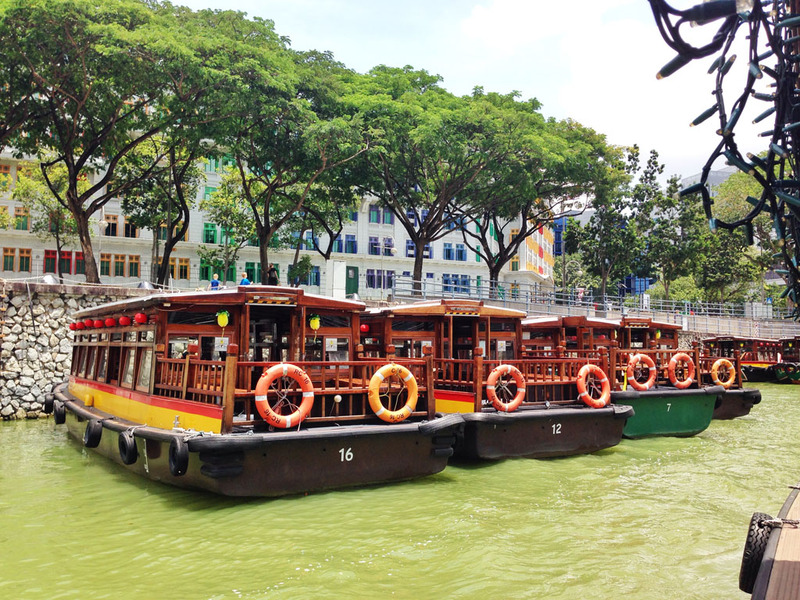 Next up, we hop back on the MTR and head for Marina Bay Sands, where we grab a water taxi up the river to Clark Quay. This is a great little boat trip, passing many historical buildings along the way before alighting and racing to the poolside bar at the Novotel. 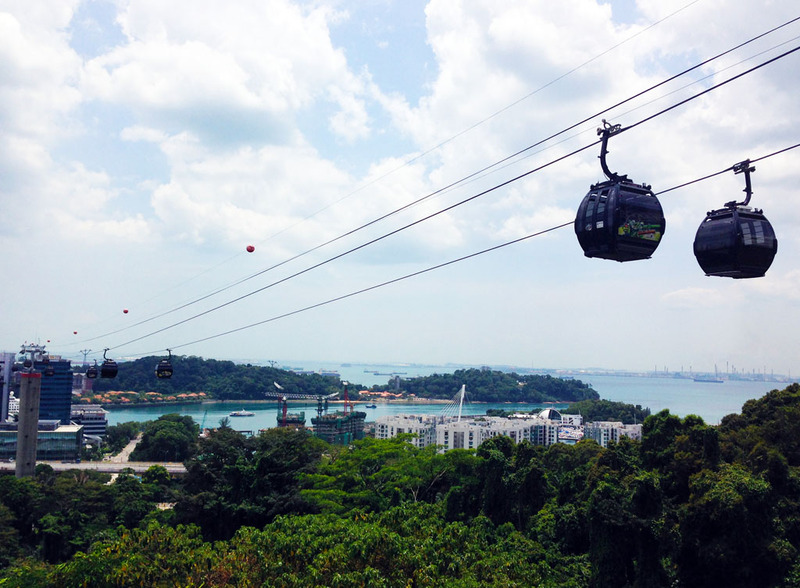 Our next task is to find a historical mural, which happens to be on top of the only hill in Singapore, Mt Faber, which we climb via cable car, enjoying some rather spectacular views of Singapore and Sentosa Island along the way. Now that we’ve found all our clues, I realize we probably should have done this in a different order, so that we ended the day at the Sofitel to sip on that signature cocktail a little more slowly. 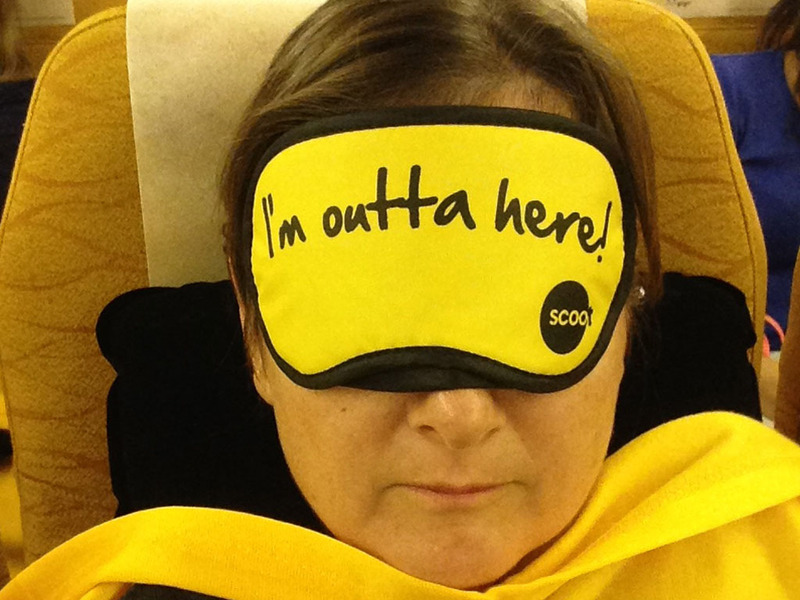 We flew to Singapore (and back) with Scoot, trying out the Scoot in Silence option. These seats are directly behind ScootBiz, and in terms of leg room – not too much difference. On our return we were treated to the Scoot In Style treatment, with access to the SATS lounge to enjoy a great selection of hot and cold food and a few alcoholic bevvies to help us sleep through the flight to the Gold Coast. 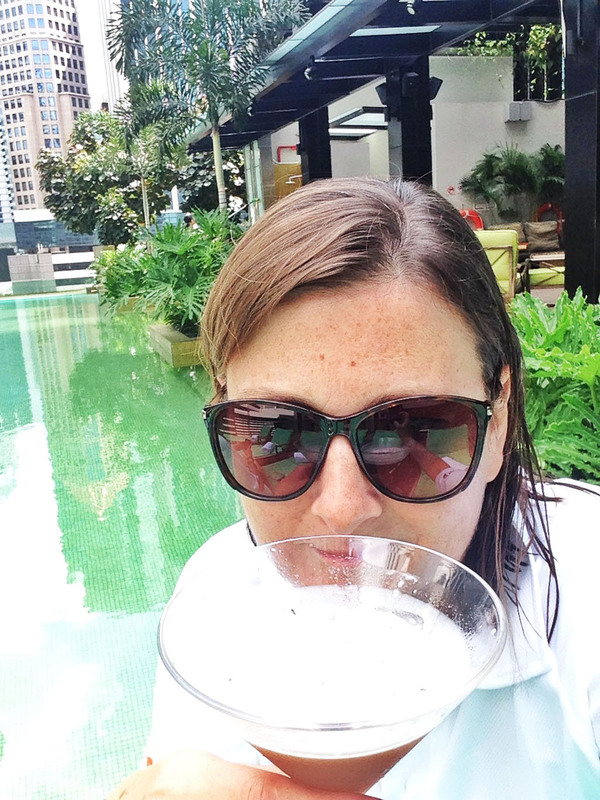 The Ibis on Bencoolen is a great spot – I was really impressed with the room, the amenities, the level of service and (perhaps most of all) their commitment to sustainability. They offer bamboo bikes to guests for use to explore the area and importantly for me, no plastic bottled water. Instead, guests are given a glass bottle of still or sparkling water and can obtain free refills for the duration of their stay. If you want to keep the bottle, you can purchase it for SG$12, which grants you free still or sparkling water every time you stay at Ibis. In partnership with the United Nations Environment Program, Ibis has committed to the Billion Tree Campaign. When bed linens are not changed, towels are hung on the towel rack, and bathroom amenities are not replaced, the savings are passed on to Accor’s reforestation project; Plant for the Planet. Ibis Bencoolen is now using these savings to fund the A Tree For A Child project in Indonesia and as part of this they have also introduced the Eco Pen initiative, supplying pens throughout the hotel made from recycled non-plastic materials to raise awareness about recycling and plastic consumption. I haven’t even mentioned the Handyphone, but you can read all about that here. Previous Article Japan in Winter – oh yeah, the skiing’s pretty good too.